If you’ve been following along with our posts this month, congratulations! You have made it to the last installment of our Basic Training Tips! Today we will be discussing our final pillar of basic training: Stay. 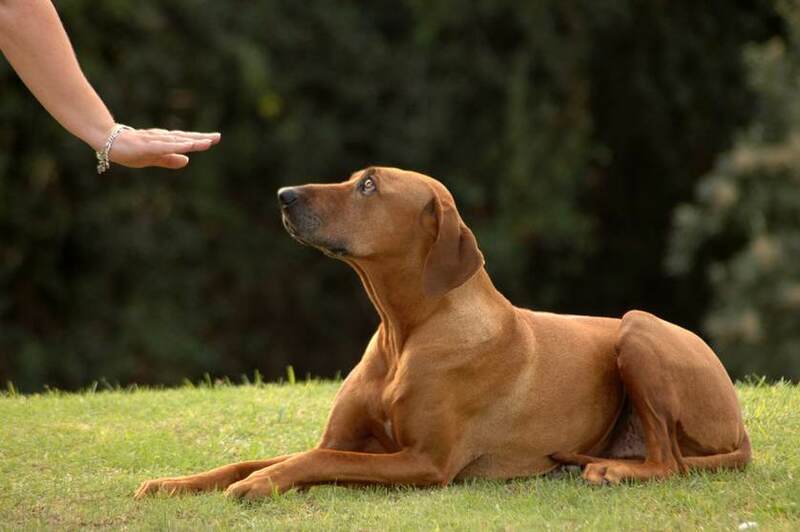 This command tends to be particularly tricky, as “stay” is not exactly an innate behavior for most dogs. As we well know, dogs are highly driven by their senses, and typically follow their nose, ears, and eyes wherever an enticing stimuli leads them! Therefore, we have to work extra hard to get them to sit in one place when we ask! 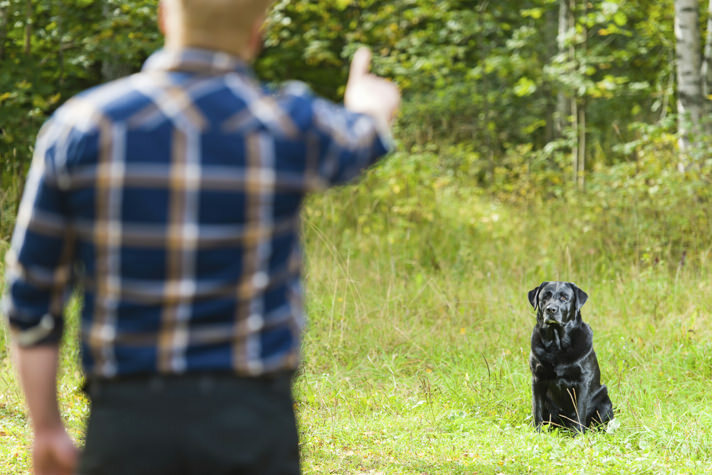 The Stay command is a particularly helpful tool to have in any dog-owner’s toolbox. Imagine that you’re bustling around your house, and you accidentally knock a plate off the table. Not only was the plate full of spicy non-dog-friendly food, but the plate itself shattered and there are shards of ceramic all over the floor! Obviously this is a potentially dangerous situation for your dog, but also a situation that every dog would naturally want to explore for themselves. Before you can even think about cleaning up, your dog, Fluffy, heads over to investigate! You say “Fluffy, stay!”… does Fluffy listen? If the answer is no, go ahead and read on! We’ll lay out some simple steps for building on this command with your dog, and getting them to a consistent “stay”. The first important thing to understand about the “Stay” command is that it must have a defined beginning and a defined end. 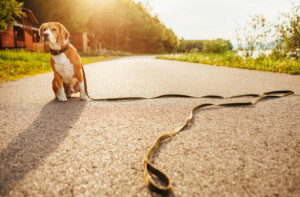 Your dog must understand that the “Stay” is for a defined period of time, and that they are not done staying until they have been released by you. As with any command, consistent language is important! Choose a word that initiates the beginning of the stay (like the word “stay”), and a different word that signifies the release such as “OK”. 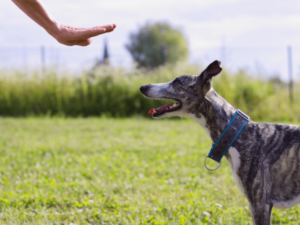 In addition to pairing a command with a defined verbal cue, it is also incredibly helpful to pair this command with a hand signal, such as holding up a flat palm to your dog. Having several different pathways of communication can help solidify a dog’s understanding of a command. So, how do we get started? In the very beginning, you’ll want to have you dog harnessed and leashed, and you will be working next to your dog. Hold the leash and place a treat on the floor just out of their reach. 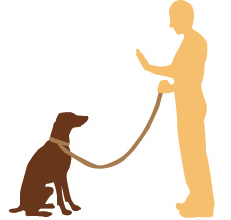 If the dog pulls to get to the treat, wait patiently until the pulling stops and they are sitting or standing without putting pressure on the leash. 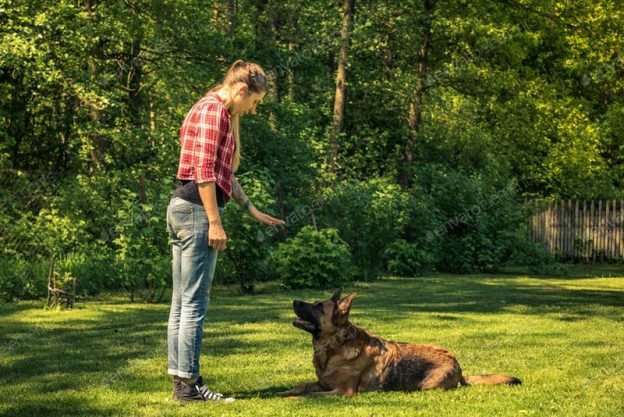 Once the dog is patiently “staying” hand them a reward and say “good stay”. After each “stay” release the dog with your cue word. 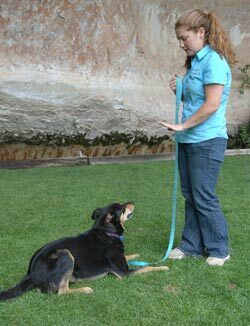 Continue this in short sessions until the dog is consistently waiting for your release and not putting any pressure on the leash. As a helpful tip – many dogs learn how to stay better from the Sit position! 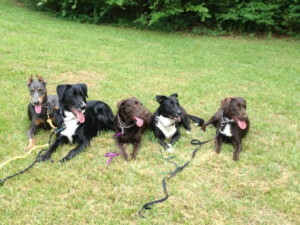 They are less prepared to jump into action if their booty is on the floor, and often a “sit” command initiates the idea that the dog is heading into a working training session. Your next step is to increase the distance of the “trigger”. For example, repeat the above steps, but throw the enticing treat farther away. 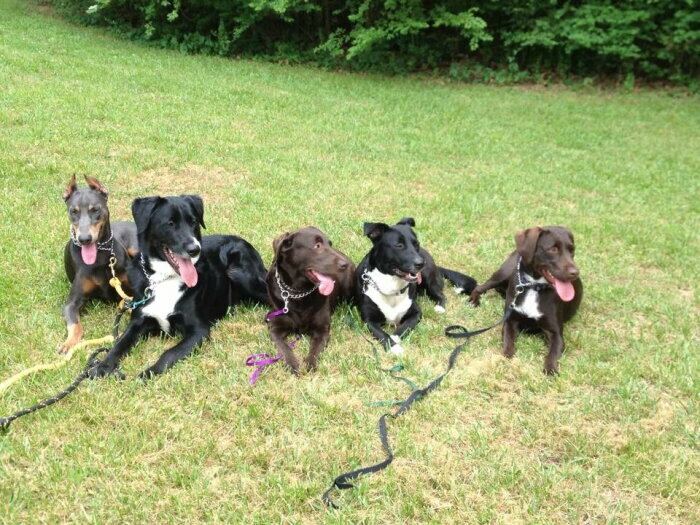 Continue to ask your dog to stay, and when they do so consistently, bring them their reward. After they receive the reward, release them with your cue word. Continue increasing the distance of the enticing treat and the duration of the stay until the dog is consistently listening to cues and performing a stay. Once your dog is consistent, you can flip the exercise around. Ask your dog to “stay” and YOU walk away with the reward. You may have to practice this several times before your dog gets it down, as you’re flipping the script by leaving your dog alone. Over time, as your dog begins to understand, you should experiment with different durations of stay, distance between you and the dog, and adding in distractions. The trick is to get the “stay” behavior consistent throughout a variety of situations so that when it comes down to it, your dog can perform a stay in a real-life situation. If your dog messes up, it’s ok! Simply return them to the original “stay” spot, and start over. You may have to backtrack a few steps to cement the command in the dog’s brain. Mastering this command will help in so many aspects of your dog’s life! It will help them form a basis for other commands and help you form a reliable relationship with your dog in the world. Keep in mind, that some dogs pick “stay” up more quickly than others! If you need help, we 100% recommend reaching out to a positive trainer for advice and tips. Practicing this command can help create a stronger bond between person and pup. 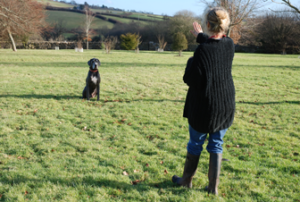 The more practice, the more likely it is that you will be able to successfully communicate with your dog in a variety of situations, and the trust between the two of you will only grow!